After a long week of work, errands, and responsibilities, what better way to cap things off than a backyard barbecue? Imagine inviting all your closest friends over, firing up the grill, and barbecuing all your favorite food: from hotdogs, to burgers, to steaks! Of course, a beautiful yard is a key ingredient in successful backyard barbecues—one that will impress your guests and encourage mingling. That said, maintaining your backyard is no easy feat, as it requires constant upkeep to retain its party-ready look. You can’t keep your backyard verdant if you don’t water it—and you’ll be watering a lot when using natural turf. 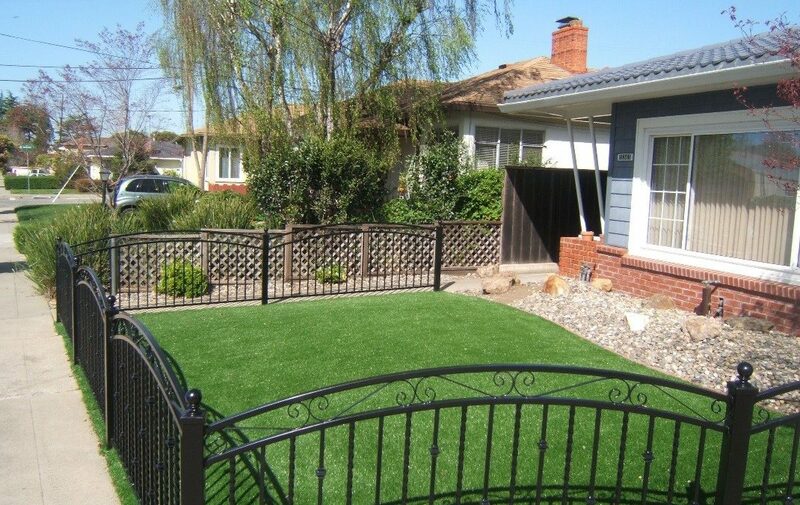 Artificial turf, on the other hand, uses synthetic materials so you don’t need to water it. It will stay beautifully green no matter the season with a bare minimum of upkeep. You also won’t need to trim the grass or apply fertilizer to it, allowing you to save both time and money. Food spills are an unavoidable part of backyard barbecues. And when the party’s over, you’re stuck with the task of cleaning up your lawn from all the spilled sauces, leftover food, and other gunk. The good news is that artificial turf is extremely easy to clean, so such spills wipe off easily from the surface without leaving any unsightly stains or unpleasant odors. Just spot clean spoiled areas as needed, and your backyard will look good as new. Backyard barbecues are often family affairs, with guests bringing their kids to the party. Luckily parents don’t have to worry about artificial turf because it’s made from 100% child-safe materials. This grass alternative is also safe for pets so they can have just as much fun as their owners during barbecue parties. What’s more, the porous material allows pet urine to seep through, making cleanup easier. It doesn’t matter how many guests you invite—the durability of artificial turf ensures that it will hold up well to foot traffic. Even better, artificial turf will last for over a decade, meaning you can have countless backyard barbecues before you need to replace the turf. Indeed, artificial turf is a great addition to any backyard thanks to its combination of aesthetics, durability, and ease of maintenance. If you want to install one in your home today, be sure to get in touch with only the most trusted installers of artificial turf.